Everything we do at Camp Fletcher is all about making sure our campers are growing, learning and having tons of fun! 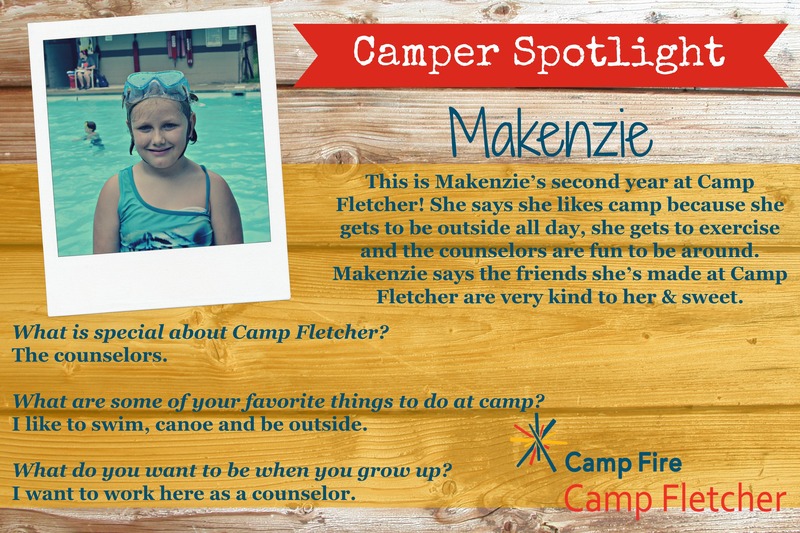 We believe our campers are some of the best kids around, and they make each summer at camp a memorable experience, and, today, we’re so excited to spotlight one of those awesome kids – Makenzie! Check out her spotlight below!